We provide advanced spinal correction (Hands on as well as Instrumentation adjustments) utilizing “state of the art” chiropractic techniques. The years of training and expertise Dr. Miniaci has experienced provide comfortable and effective adjustments to the spine. We teach our patients specific exercises to help strengthen and correct their own unique problem. These exercises can be performed in our office and then in the comfort of your own home and can improve the effectiveness of your spinal correction. In addition to skeletal misalignment (subluxations), muscles and connective tissues can be out of place or strained by improper alignment and use. Specific exercises and stretches can help your body stay in balance and in health. We often find it helpful to “coach” our patients on certain activities they should modify or do differently to avoid aggravating their particular health challenge. Our goal is to help every patient achieve a fulfilling and happy lifestyle full of activities they enjoy most. We recognize that each patient is a whole person and helping them reach their true health potential and wellness takes collaboration between our office and our patients and is the ultimate goal of the practice. At the Miniaci Chiropractic & Acupuncture Center, LLC we can provide specific recommendations on nutritional supplements and healthy food choices to enhance our patient’s return to optimal health. We also have designed programs to detox the system from poor eating and support them with specific weight loss programs with care and follow up in our office to meet and maintain your goals to better health. Relieves nodules, knots and tight bands that develop in the muscles. Early Chinese physicians discovered there is an energy network just below the skin which communicates from the exterior to the internal organs and structures at over 1000 “acupoints” on the body. If this becomes blocked or weakened, an effect in a body system is compromised. 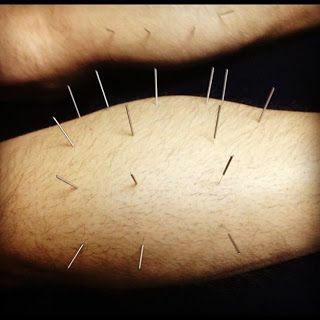 Stimulation of one of the key “Acupoints” using small needles may restore harmony to the affected areas. This treatment has been known to help anxiety, hunger and smoking. 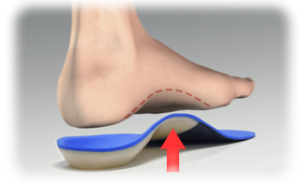 After evaluation by Dr. Miniaci, he may suggest custom orthotics or heel lifts for your shoes to help balance and support the spine.